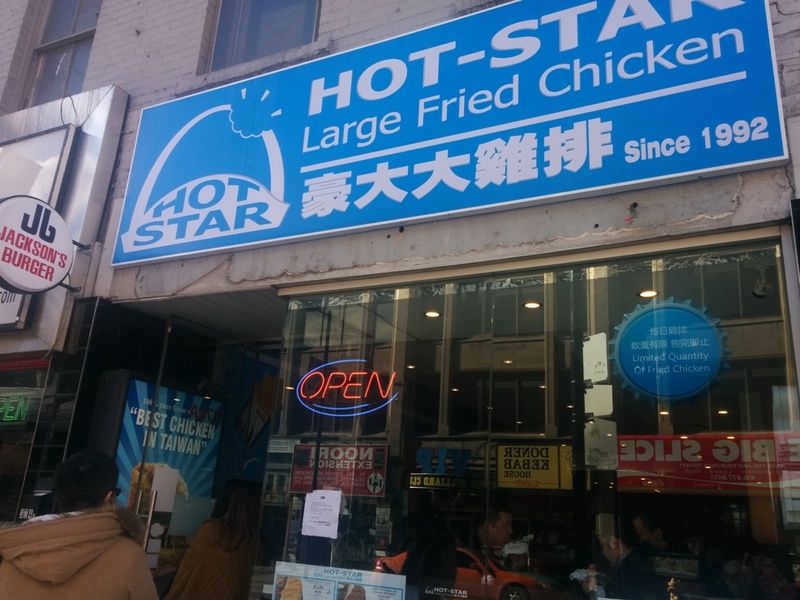 Last year when I was in Toronto, Hot Star Large Fried Chicken happened to have just opened! I had not intended to visit but we were passing by and there was a huge line up so we decided to join in. Hot Star is a well known chain in Taiwan. 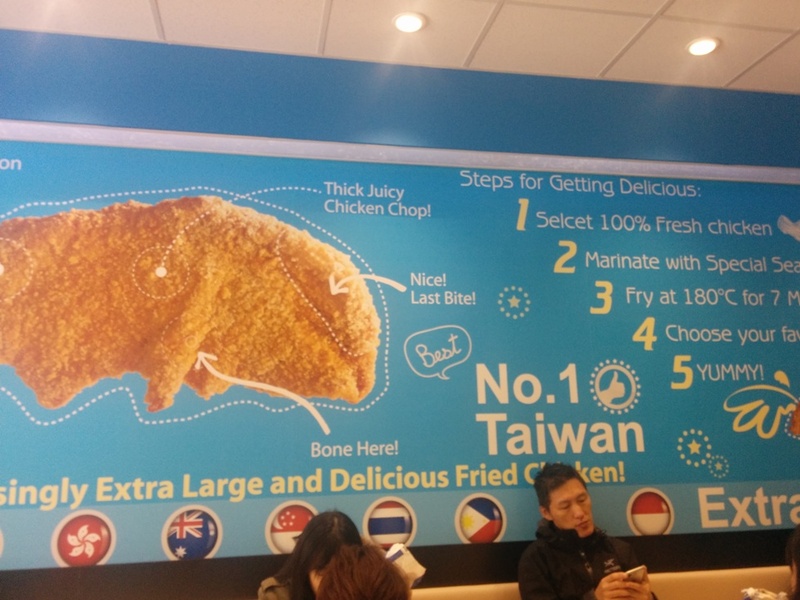 They have this giant wall mural that teaches you all about their chicken. 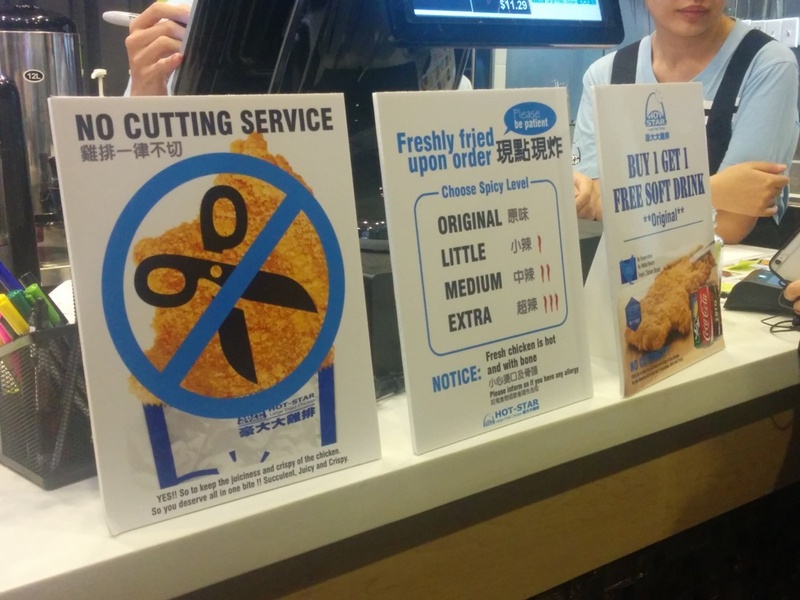 There’s a sign that says they cannot cut the chicken for you in order to maintain the juiciness inside and to keep it crispy. You can also choose the level of spiciness. Mine was medium. The chicken costs $9.99 per piece and we thought that was pretty steep. Little did we know, IT WAS SURPRISINGLY EXTRA LARGE!!! Exactly like what it said on their wall. No, seriously it was huge! How’d they make it so big?! I’m not even sure how to describe the size right now. Also as advertised, it was indeed very crispy and juicy! 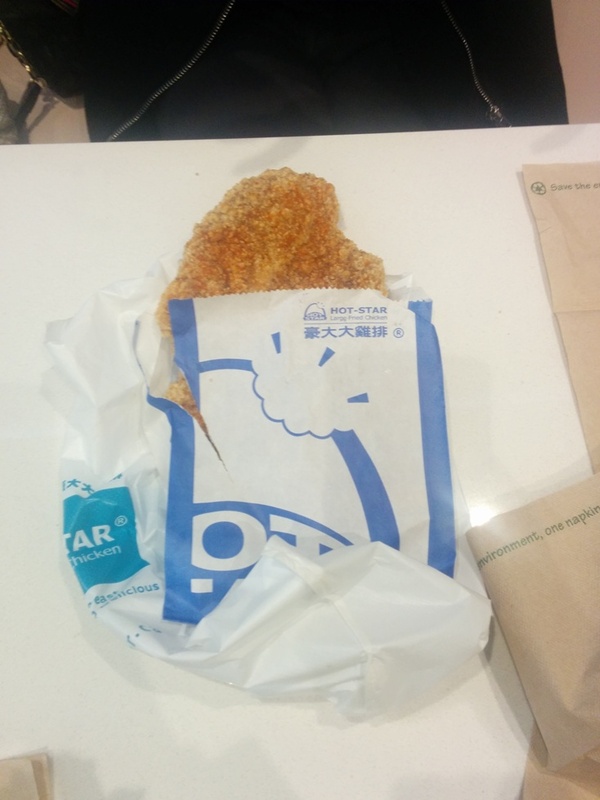 It’s seasoned like the Taiwanese chicken nuggets but in one massive piece. Since the piece is so big though, you get sick of the taste after a while and it was a full meal for me. It’s probably better to share it. There is also a small piece of bone at the end. This is definitely not something you want to eat everyday. I had my fill of fried chicken for a long time after! 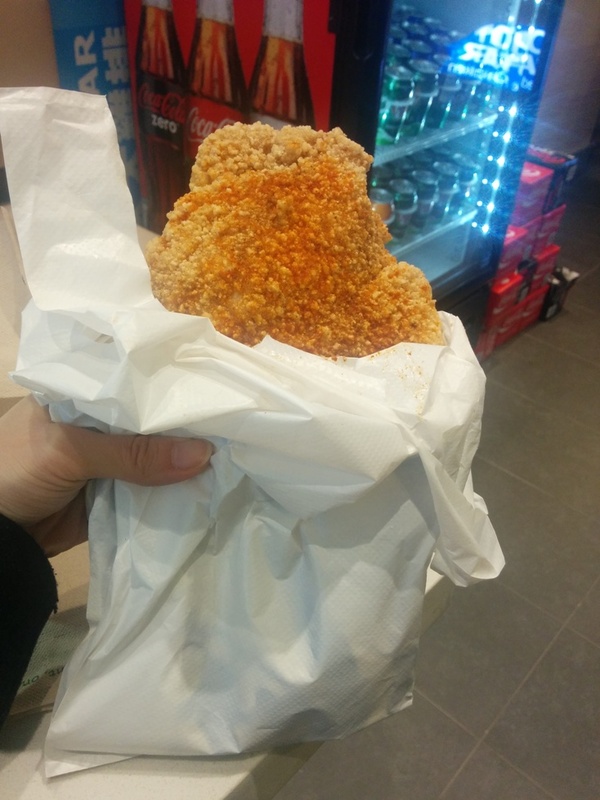 This entry was posted in Asian, Food Reviews, Taiwanese and tagged fried chicken, Toronto.